Empire State Weeklies, Inc is Webster's go-to source for printing needs and local news. 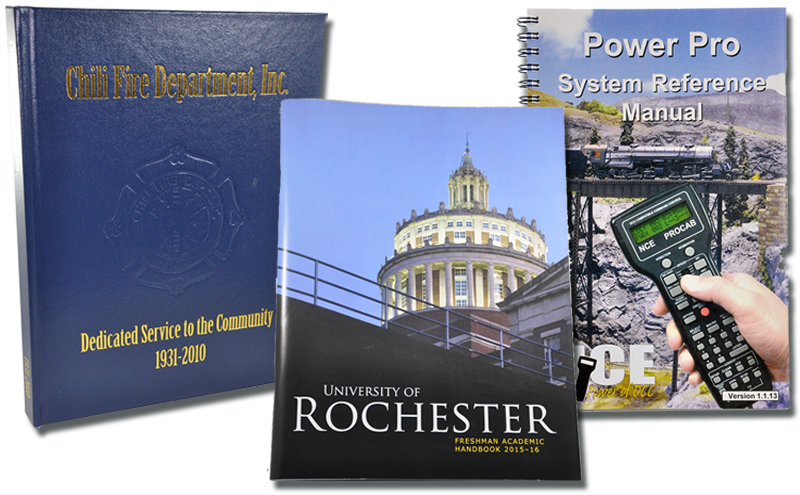 Under our printing umbrella, we print books, newspapers, newsletters, magazines, direct mail, and more with high-quality service at a great cost. 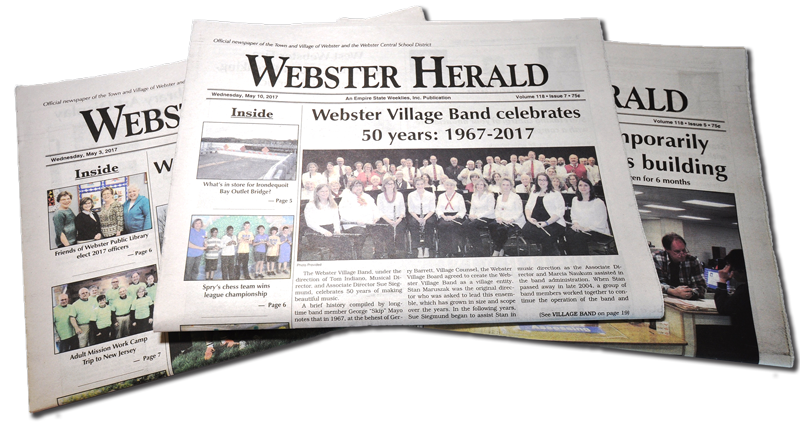 Our weekly subscription-based newspaper as well as the official newspaper of the town, village, and school district. 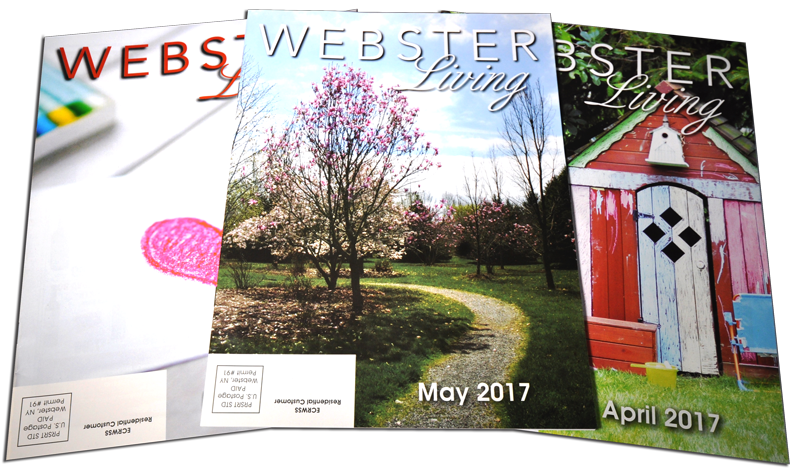 Our free monthly magazine that showcases why our beloved Town of Webster is "Where Life Is Worth Living". Stop by our office located on 46 North Avenue in the Village of Webster.